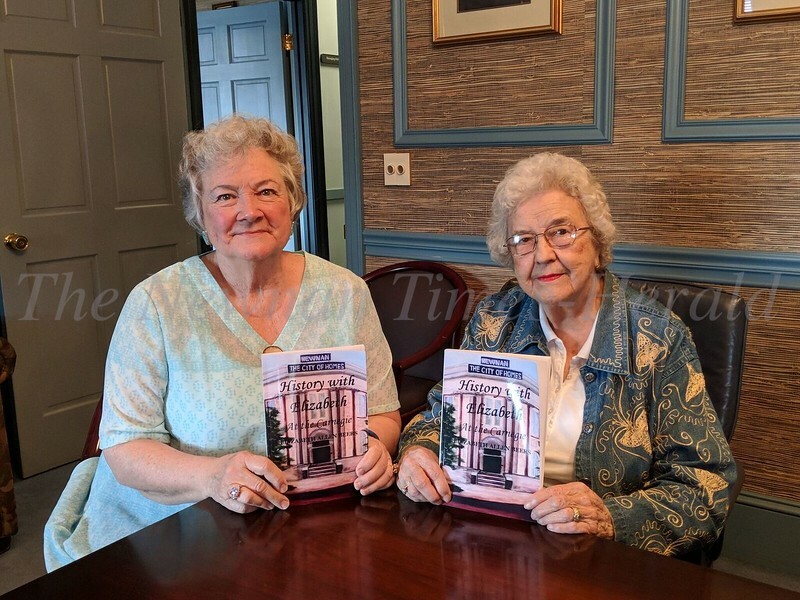 Author Elizabeth Beers, and Carolyn Turner, who helped her put the book together, are proud of "History With Elizabeth". 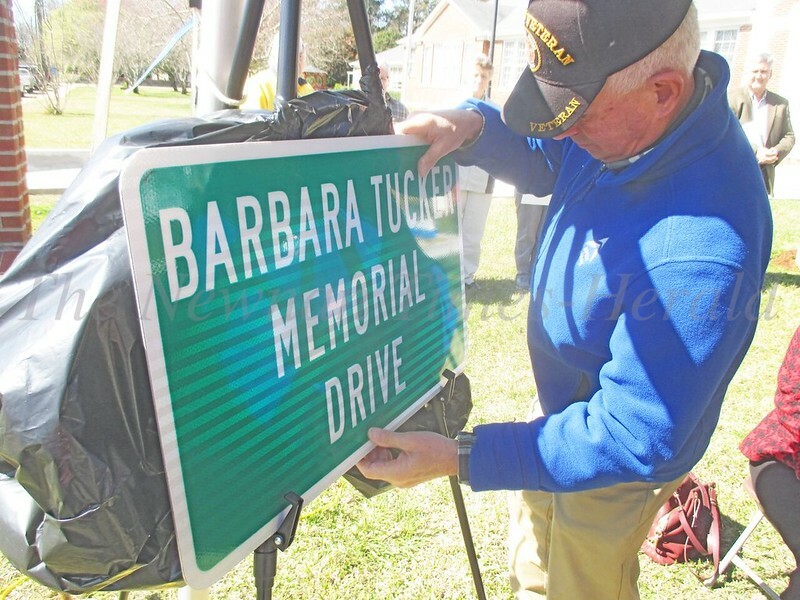 The book grew from talks on local history that Beers gave at the Carnegie Library beginning almost 10 years ago. 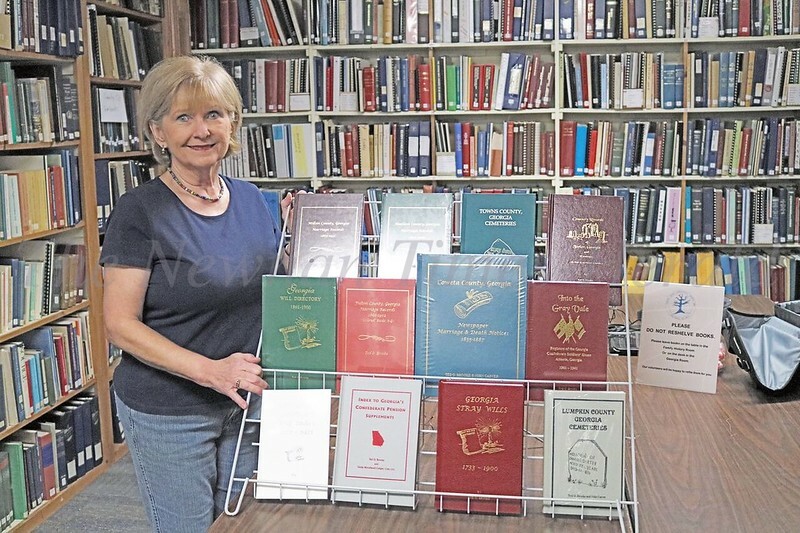 Ted O. Brooke recently donated a number of geneology books to the Geneology Society of Newnan. 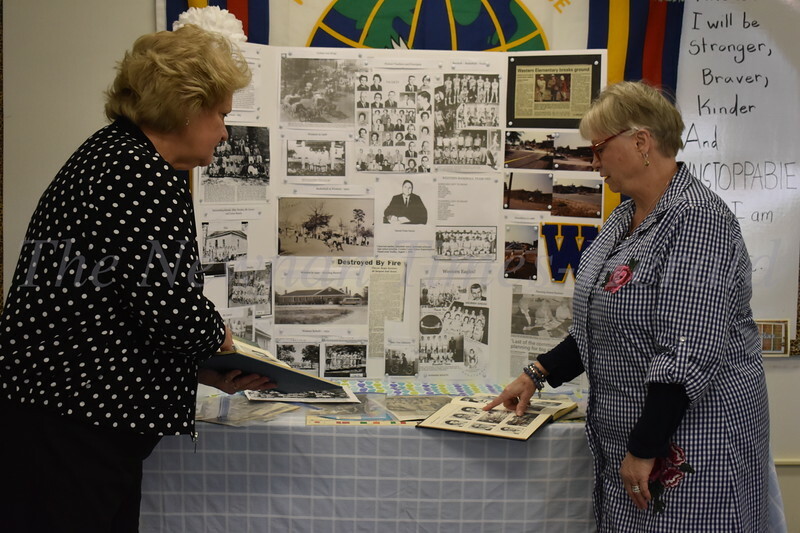 Dianne Webb, Publicity Chairman for the society displays the collection at the library. 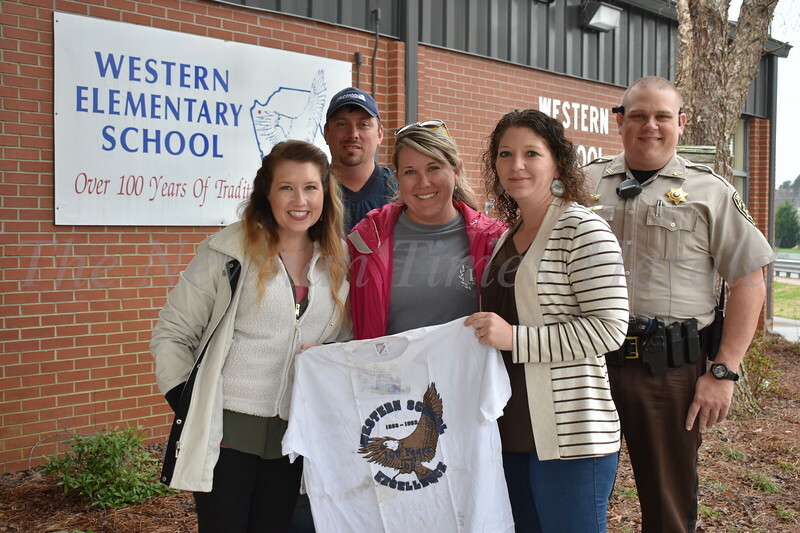 Classmates from Western Elementary School gather at the school to open a time capsule they buried in fifth grade in 1993. From left to right are Charlotte Dombrowski Patterson, Matt Cash, Sara Perkins, Dewberry, Bree Milnor and Todd Brown. 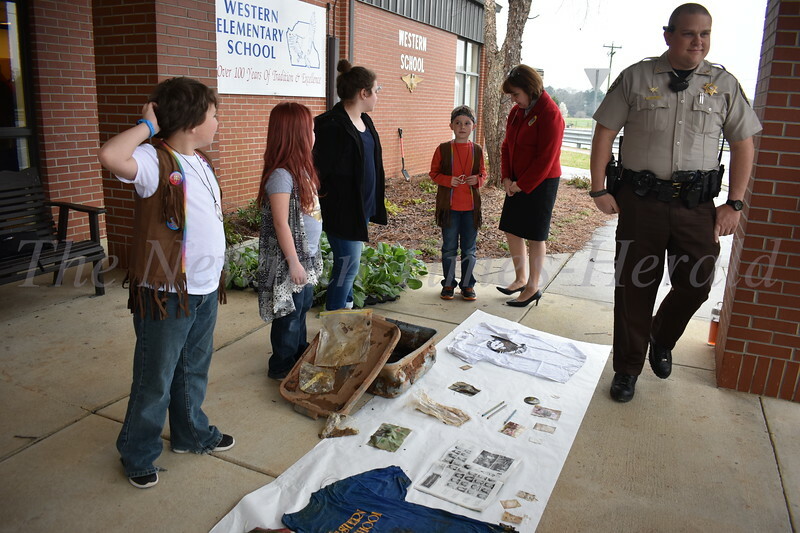 Students and teacher from Western Elementary look on the items retrieved from the time capsule fifth graders buried in 1993. 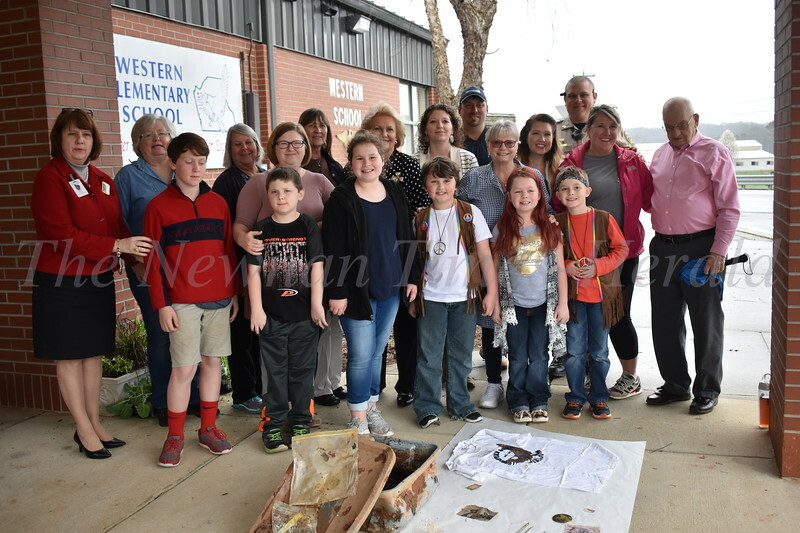 Western Elementary School students and teachers look on the items retrieved from a time capsule buried by fifth graders in 1993. 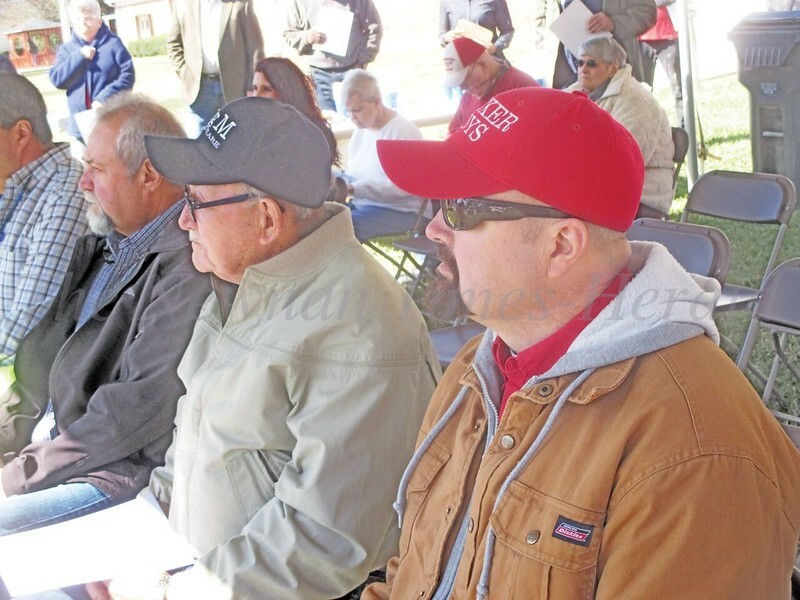 Former Grantville Mayor, Billy Tucker, flanked by his sons, Tony and Chris, listens during the program honoring his late wife, Barbara, on the grounds of the towns headquarters on Thursday morning. 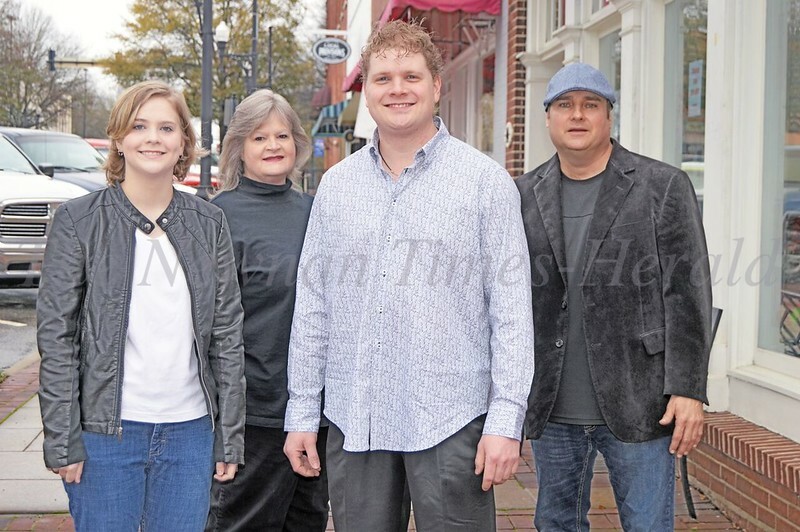 The Kiser Band, left to right: Melody Kiser, singer/song writer and guitar player; Aundie Kiser, keyboards; Christian Kiser, singer and guitar player and Gary Herbert, drummer. The band will be performing on the "Melissa Etheridge Cruise", alongside the famous singer, plus musical artist Sarah McLachlan.